Memorial Day - this holiday weekend will find many of us taking the first camping trip of the summer, joining friends and family on picnics, heading to concerts, street fairs, etc. 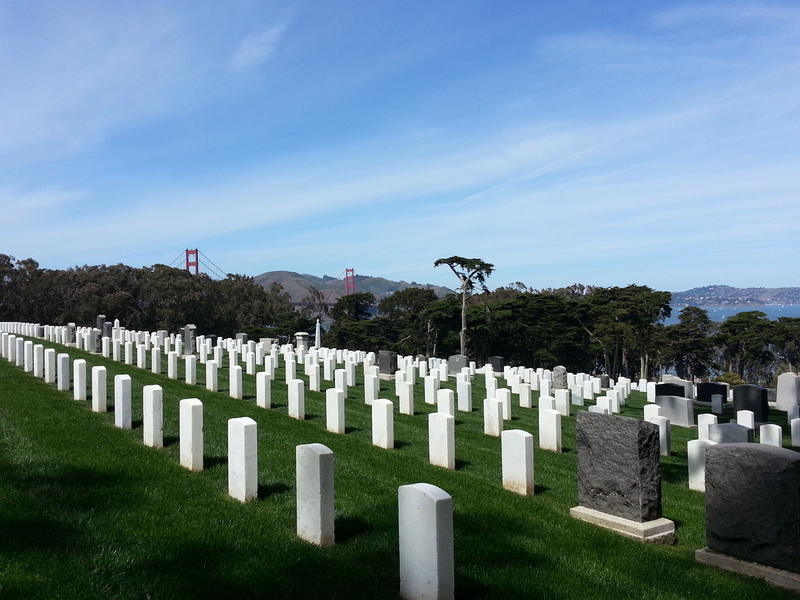 If you are in San Francisco on Monday, 5/25, the day we celebrate Memorial Day in 2015, a visit to the Presidio seems fitting. Head to the Main Post, where a parade begins at 10:30 AM, lead by the 191st Army band, ending about 30 minutes later with a 21-gun salute in honor of those we're remembering this weekend. At 11:00 in the National Cemetery the formal program begins. 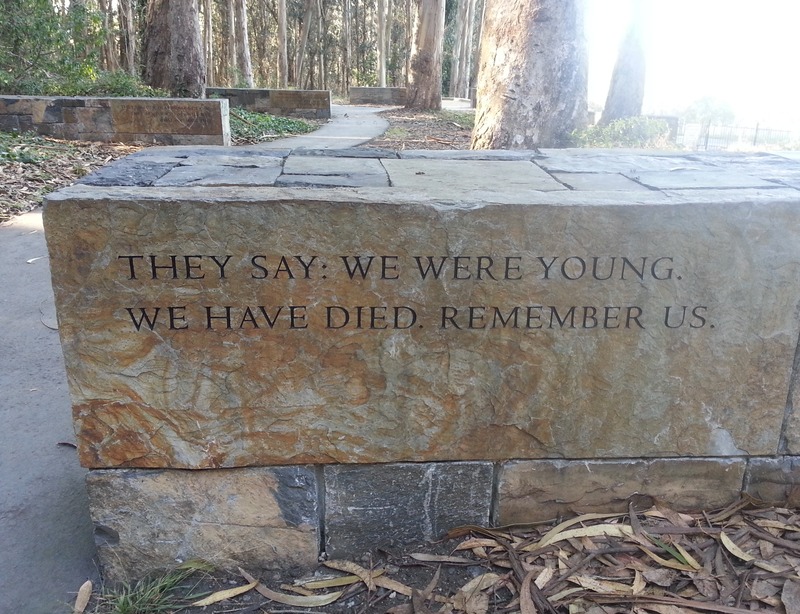 If you stroll to the top of the cemetery, you'll find this poignant poem, which speaks volumes. As we enjoy the many activities of this holiday weekend, let's remember why we have a special day, why a holiday.